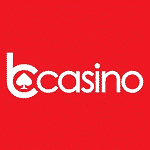 Your week looks great at bCasino! All British players have the chance to receive this great bonus. Deposit £10 on Monday and get to play with £25. Use the promo code b100 to qualify for this offer. Wager your deposit and bonus amount 30 times before making any withdrawals. You can’t cash out from this deal more than £5000. Take advantage of this bonus and take gambling to a whole new level!